Headquarted in Bend, Cairn call itself “the ultimate gift for outdoor adventurers guaranteed to inspire fun with every delivery”. Each monthly Cairn collection is delivered containing up to six amazing outdoor products with prices starting at $27.45 for up to $50 of value in every box. Select the original monthly Cairn collection or, for a higher level of adventure, the premium quarterly Cairn Obsidian collection which gets you five to ten premium products (up to $350 value) quarterly, curated for you. Free standard shipping in the US for any order $50 or more (with subscription). This service is a great way to discover new gear in each delivery and, bonus, you can earn points for reviewing your new gear. Redeem your points in the Cairn Shop for apparel, free boxes and even gifts for friends. 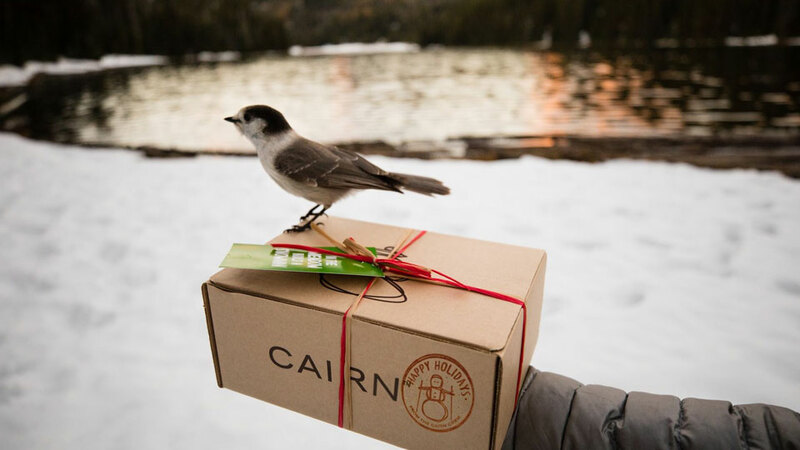 And speaking of gifts for friends, if you’re a last-minute shopper or have someone on your list who is challenging to buy for, get them a Cairn box and email or print a gift message for your recipient so you get credit for the terrific gift you got them.